Untold Casino was established in 2018. The casino is operated by “Viral Interactive Limited a company incorporated in Malta.” The casino has a modern, fresh and appealing design. A staff member told us that the theme is some kind of steam punk future thing, like a story. When you enter the casino you are supposed to enter the Untold land, a territory of adventure and mysteries. The main-character of the casino is Lord Untold. “He’s visiting your email inbox from time to time.” Some of the emails from him contain a golden token. “Claim the golden tokens and you might get bonuses, spins or even cash prizes.” We entered the “Untold land” and took a look. In the new game section we found the qrazy game Nitro Circus and the new NetEnt games Vikings, Turn your Fortune and WILD-O-TRON-3000. In the popular game section we found great games like Gonzo’s Quest, Dead or Alive, Scruffy Duck, Coins of Egypt and Jungle Spirit. There are 100 available live casino rooms for baccarat, blackjack and roulette at the Live casino section. There are also some other Live games like, Fortune VIP and Double Ball. In the Jackpot section we could not find any NetEnt games but we found some classic slots, Mega Moolah, Mega Moolah Isis, Major Millions and Treasure Nile. You can choose between 1800 games, that’s quite good for a casino but we only found fourteen games in the jackpot section. We think the jackpot section could have been better by offering more available games. There is a Video Poker section but it’s only offering two games. Back in ancient times, the goddess Tyche provided the Greeks good luck, UntoldCasino has Lord Untold. The promotion page is really appealing and has a lot to offer. When we looked there where ten ongoing promotions. The support call themselves for Pathfinders and are really helpful. If you don’t like the promotions you are always welcome to send comments on what you think should be improved or what kind of promotions you prefer. The VIP section is managed by Lord Untolds uncle Ye Olde Untold. It’s “a prestigious network of power and privilege”. 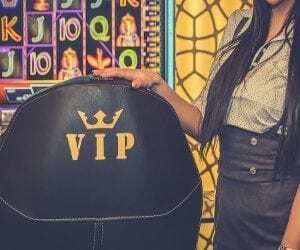 The VIP section is really good, climb the ladder and get access to VIP Customer Support Ultimate CashBack, Dedicated VIP Manager andUnique VIP Gifts. You start as a wanderer and if you truly are a Highroller you will become a Legend. The only thing that Untolds VIP-ladder misses is the possibility to be invited to VIP-events. The Welcome Bonus varies depending on country. For all allowed countries except (Finland, UK and Sweden-see below) there is a WelcomeBonus Package consisting of 3 Bonuses on (1st100%) ,”(2nd50%) and 50% on your third deposit. This is a great opportunity for you to get some great Bonuses and play some awesome NetEnt games. If you are looking for Video Poker, a Sportsbook, Virtual sports or NetEnt progressive Jackpot games, we think you perhaps should take a look for another casino. If you are looking for an exciting casino with lots of different games, Live casino or a good VIP-club, Untold Casino is a good choice! The team behind the casino is very enthusiastic and the story behind the casino is odd and interesting, that is two ingredients, which makes playing on the casino joyful! Have fun! 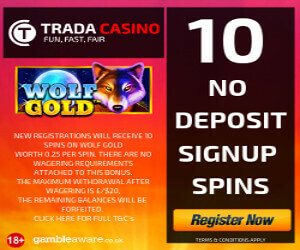 A very safe casino with UKGC, MGA and SGA license. The Welcome Package is split in three bonuses, each claimable once for the first three deposits, if the minimum amount of 20€ is deposited. 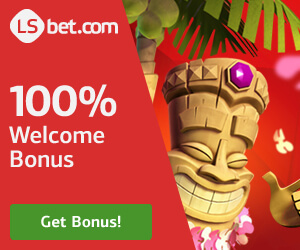 For a first deposit on Untold Casino, you will receive 100% bonus up to €/3333 or the equivalent amount in the account currency. For a second deposit on Untold Casino, you will receive 50% bonus up to €/$3333 or the equivalent amount in the account currency. 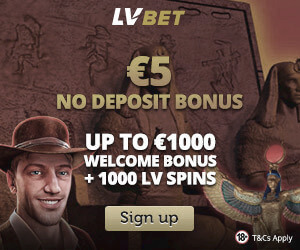 For a third deposit on Untold Casino, you will receive 50% bonus up to €/$3333 or the equivalent amount in the account currency. Enter the "Untold land" here (All countries except FIN & UK)!